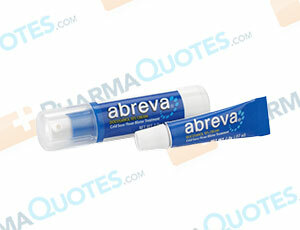 Abreva (Docosanol) is a topical cream used to treat fever blisters and cold sores (Herpes Labialis). It speeds the healing process and decreases symptoms like itching, tingling, and burning while preventing the virus from infecting healthy skin cells. Abreva can be applied at the first sign of outbreak and it can heal a cold sore in 2 ½ days by penetrating deep into the skin and fighting infection at its core. Common side effects include redness and swelling. If these persist, contact your doctor or pharmacist as soon as possible. Allergic reaction is rare, but should be reported to the doctor immediately and use of Abreva cream should be discontinued. Pregnant women should only use Abreva under the advisement of a doctor, and only when absolutely needed. There are no known drug interactions for Abreva, but your doctor should have your complete medical and drug history in order to provide the best care. General Abreva Warning: The above information is for informational purposes only and is not meant to be a substitute for professional medical advice, diagnosis or treatment. Please seek professional medical advice before starting, changing or terminating any medical treatment. Pharmaquotes is not offering medical advice, pharmaceutical recommendations or endorsing any specific prescription drug, pharmacy or other information on the site. Pharmaquotes provides no warranty or guarantee for any of the discount data, medication, or other information.